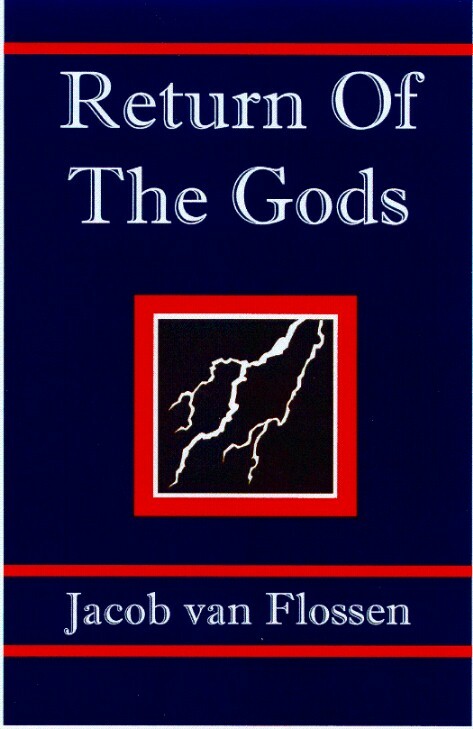 Kipling themed Novel demonstrates the spirit & dedication of this web site: As Federal entitlements & a grievance mentality continue to grow; economic confusion, intrigue, conflict & violence, reflect the social & psychological dynamics of a gathering disaster that threatens the continued existence of America. In the midst of a Kiplingesque day of reckoning--title & theme taken from the Kipling poem "The Gods of the Copybook Headings," who return "with terror & slaughter" whenever a people follow the false Gods of the Market too far down the path of wishful thinking--normal men & women pursue survival, love & romance; while conspirators on both the Left & Right maneuver for advantage. Combining ideological conflict with a story of elemental passion, the author puts both politics & passion into a perspective seldom, if ever, found in contemporary literature. In projecting challenges to traditional values, through well drawn & appealing characters, the author offers a sense of the timeless quality of the human drama. Tired of an intrusive culture, which treats Government as the ultimate solution to human failure, while denying each of us, tradition & privacy? You will love RETURN OF THE GODS! It is all about ways to fight back! List Price $24.95, plus shipping, reduced to $17.76, plus shipping, because of clear relevance & close parallels, between both the political issues & social dynamics, developed in the novel, and the social ferment in 2018 America. While many arguments in the novel will be particularly useful to Conservatives in any election campaign, the tight focus on social interaction from different perspectives, should benefit any contemporary American in addressing the most compelling personal issues. Call 1-888-814-0208. Trade Discounts available to retailers. N.B. Enjoy lusty novels with contemporary themes, yet are offended by those that make villains Conservative & good folk altruistic "Liberals?" This novel will make an inexpensive gift. Here the "good" guys think as you & your neighbors; the "bad" guys, as Obama or Clinton supporters. Secure on line ordering! Ignorant, Irresponsible or Insane? A Federal Tax On Wealth! Demonstrated stupidity, calls for an American Federal tax on wealth. Preamble to the Constitution; Article I, Sec. 9; the XVIth Amendment. Natural Law, Common Sense & Elemental Fairness. We do not claim that all questions of American Constitutional Law are easily settled; that there is always an easy answer to what the Constitution allows; or to what it requires, or what it forbids. But there are obvious answers on some points. There are clearly defined functions mandated; others, clearly forbidden; as well as an overriding functional purpose. Yet nothing could be clearer than the fact that a Federal tax on wealth is totally contrary to both the letter & spirit of the Constitution of the United States. Are those, who openly advocate such a tax, merely ignorant of the Constitutional specifics, too irresponsible to care, or so obsessed by hate & envy as to be no longer capable of a reasoned approach to public policy--indeed, compulsion driven to punish those who have dared to achieve above the multitude! Has any nation achieved such purposes by confiscating the material accomplishments of its most productive citizens, after they had already been taxed when those accomplishments were first accumulated? Does any socially inclined species, with a modicum of intelligence, seek to advance by tearing down its high achievers? Do you secure the Blessings of Liberty for your posterity by punishing the most successful of any generation? Do those who wish to confiscate accumulations of great wealth, understand the self-sustaining mechanism, which provides decent employment for those not born with exceptional skills; that America thrived, as Great Britain had once thrived (before her stupid & disastrous acceptance of forced redistribution), precisely because she did not sabotage the accumulation of great wealth before ratification of the XVIth Amendment in 1913? In other words, you cannot punish people, by new Legislation, for what they have done in the past. The Founders did not believe that any man or women should be taxed directly for an amount greater than any other. That means no graduated income tax, no flat tax by a fixed percentage of income; no redistribution or social engineering by taxation; only the same dollar amount (per capita) for each of us. A wealth tax is not a tax on income. It is a tax on accumulated wealth; the resources remaining after any & all taxes, to which the victim & his forbears have been subject throughout their lives, whether on actual income achieved in past years, or from gifts or inheritance. The right of the individual to accumulate capital, to ascend a ladder of social objectives, and/or material wealth, has always been the American engine of individual success; but, also, the engine for sustained economic growth of society in general. We have always acclaimed success; always disdained the petty envy of those obsessed with jealous resentment of exceptional achievement. In traditional America, those whom a Leftist mob would now tear down, have always been the role models for those who, wisely, would learn by example; those, who understand the value of emulation of that, which works best in a desired pursuit. Natural Law, Liberty & each individual's idiosyncratic Pursuit of Happiness, ever the essence of a true American ethos--the premises of our moral compass. Our Constitutional purpose clearly embraced those premises. Those who would accept Socialism--or any variety of utilitarian collectivism, which sacrifices the natural & legitimate aspirations of the individual to the demands of the mob--clearly do not. Are those, who embrace Socialist premises, simply ignorant, both of Constitutional intent & how human societies actually progress, or so ideologically driven in pursuit of delusion, that they have become totally indifferent, even to a sworn duty to respect the premises behind our Federal Constitution in any action by the Federal Government? We suspect a good bit of both. What the advocates of Socialism really are not, however, is insane. They may embrace evil means & evil ends, but they are neither insane nor altruistic--neither utopian nor pragmatic. As the serpent, playing on Eve's weakness in the Garden, they are grievance merchants, utilizing an ageless formula to undermine truth & reason, and any meaningful social progress. In Jefferson's introduction to the Declaration, our defining spokesman altered slightly the traditional reference to "life, liberty & property," as primary natural rights, to Life, Liberty & the Pursuit of Happiness, reflecting his understanding that we are all not materialistic or utilitarian. Yet, certainly, the pursuit of wealth is, and has long been, a major factor in the pursuit of happiness for many Americans. The right to pursue, is not and never was a right or guarantee of success: No guarantee of success! But no ceiling on aspiration or achievement! The intended promise of America, in common sense & elemental fairness, was always a right to try. Socialism, by contrast, attacks both liberty and the individual's idiosyncratic pursuits--the very quest to excel--in an effort to engineer an egalitarian collective. It is a denial of the dynamic forces which once made America the marvel of the world. Here, as with his policy on access to experimental medicines, for treating otherwise terminal conditions, President Donald Trump understands & supports an American's right to try! on a wide variety of fronts, despite Socialist efforts to trash our heritage & seize our resources. While we thank God for Jefferson's understanding in 1776, and what followed, let us thank God for Trump's understanding today, as we rally to his banner: America must never accept the evil that is Socialism! World Government? Norman Cousins & Surrender By Subterfuge! The Better Term: "Liberal" Or "Mipip?" Our Duty, If Present Trends Continue? School Killings vs. "Something of Value"
Chapter Twenty--Medicare--Panacea Or Death Potion? How The Welfare State Works!